We only see giraffes on National Geographic or once a year at the zoo, if we're lucky. Come to think of it, we know nothing about them - only that they're tall and look like the closest thing to relatives the dinosaurs could have. True, they ARE the tallest mammals on our planet, and they do look pretty dashing, but there's so much more to them than meets the eye. So, if you've been looking for the craziest facts about giraffes but couldn't really find a user-friendly, down-to-Earth and entertaining list, you're in luck, because you just found it! Sit back, relax, and let's talk about giraffes! - Awesome fact alert: giraffe babies (the new-borns) are six feet tall, which makes them taller that the majority of grown-up humans! Well, maybe not LeBron James or Michael Jordan, but still, these creatures are TALL! Oh, and by the way, it takes them only 10 hours to get used to this world and run along with their moms and dads like they've been doing that for a couple of decades! - However, these guys don't really sleep much per day and sometimes get as little as 10 minutes of...napping (2 hours max). Yep, can't even call that sleeping. Still, even though they do close their eyes when going nappy-nappy, they never lie down. Aha, giraffes sleep while standing on both feet. Most of the time, anyway. - One of the craziest facts about giraffes: the females can and usually do give birth while standing up! I mean, these creatures really don't like to lie down, do they?! - Just like the stripes on a tiger, the "pattern", the "texture" on each giraffe is unique! Same goes for our fingerprints and the snowflakes. 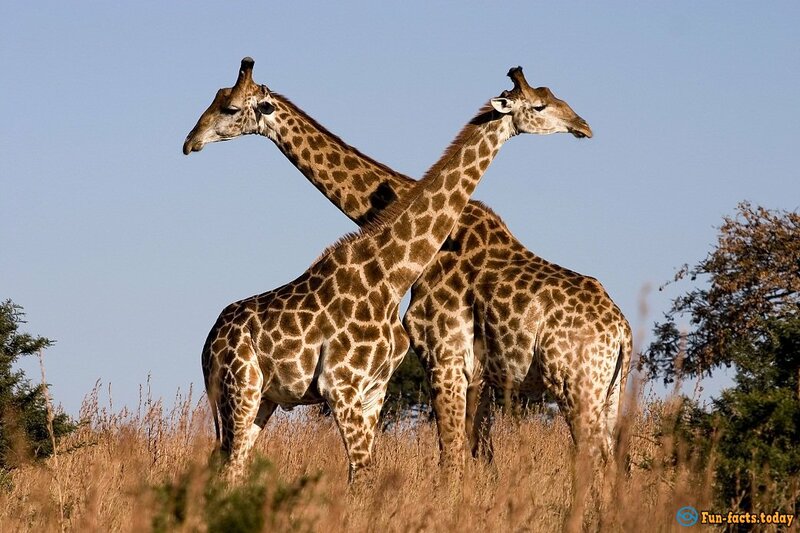 - Interesting fact about giraffes: The scientific name for these awesome creatures is Camelopardalis. Say what? Back in the day we used to call them "camel leopards", because they're pretty tall and the patterns match. - Their tongues are quite impressive when it comes to length - 45 centimeters and longer - which allows them to reach their "meal" high up on the trees. Ever wondered why their tongues are black-and-blue? For protection against sunburns, of course! 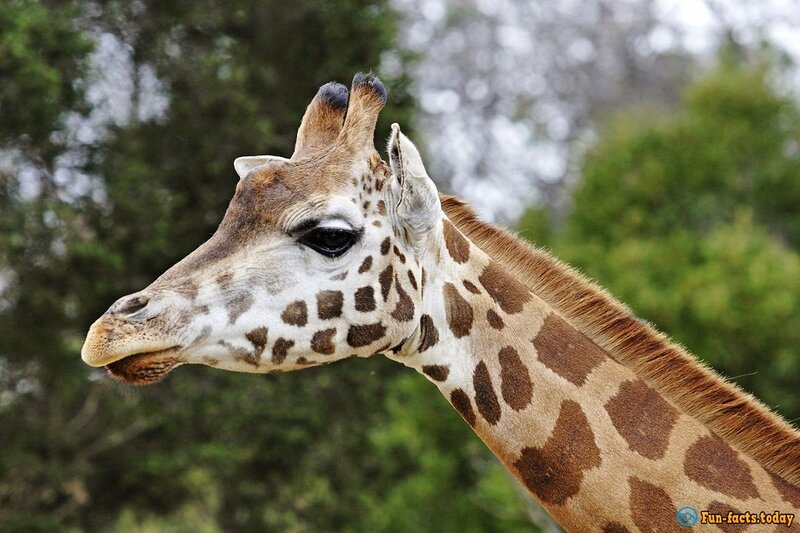 - Definitely a crazy fact: female giraffes have one of the tiniest windows in which to get pregnant - only two weeks! 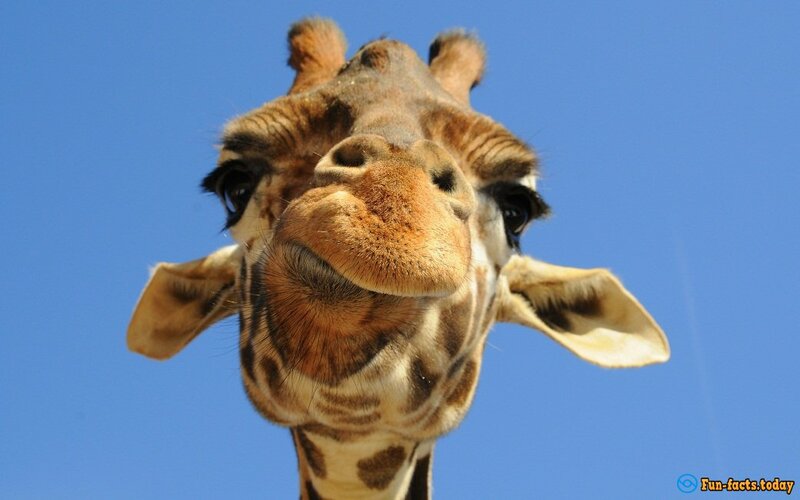 - Giraffes are "heat-proof", meaning they don't sweat or pant when it's hot outside. And, they've got a max speed of 35MPH, which allows them to outrun the majority of horses! - Even though they're not predators, they've got sharp, 12-inch hooves that can kill a lion or a tiger with one swift hit! - Interesting fact about giraffes: if you see two male giraffes rubbing their necks against each other, don't say something like "group hug". That's not how they show love to each other, that's how they fight! 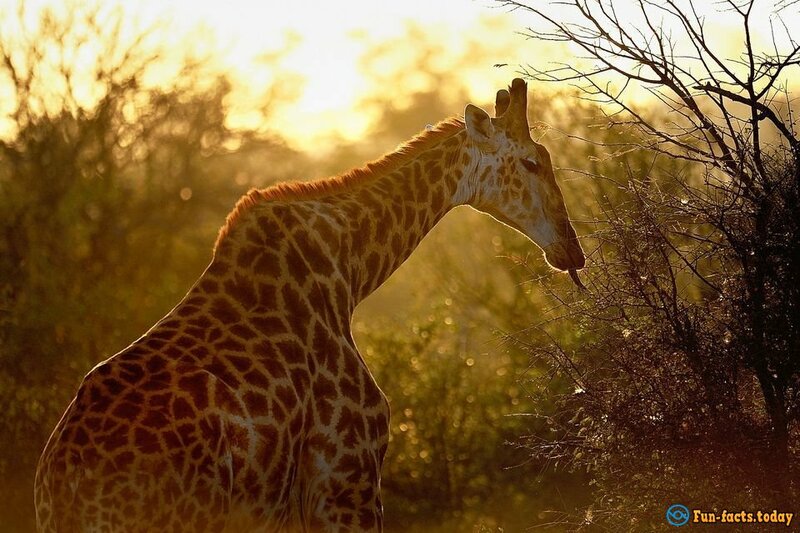 - Final amazing fact about giraffes: their hearts weight around 11 kg (! ), while our hearts weight around 0.2-05 kg. Crazy, huh? I guess the expression "a heavy heart" gets a whole new meaning! Can you imagine that we, the humans, could have weighty hearts like that?